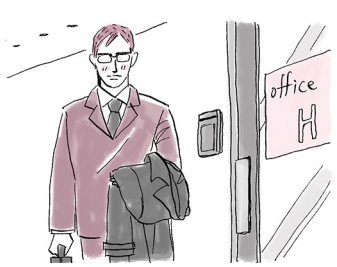 You should take (1 off ) your coat or scarf before entering an office. “I’m Smith (4 from ) ABC company. Itsumo osewa ni natte orimasu. When you are shown (6 into ) a room, basically you should not sit unless invited to take a seat. If there is no invitation, avoid sitting (7 in ) the best seats and wait in an inferior seat. The best seats are (8 at ) the far end of the room, while the inferior seats are closer (9 to ) the entrance. When the person you are meeting comes (10 into ) the room, immediately stand up and exchange greetings and business cards. Wait to sit (11 until ) the host takes their seat. In addition, if a boss or colleagues are present, only sit down (12 after ) your superiors are seated. If tea is served, it is better not to imbibe any (13 until ) you are encouraged to do so. After saying “Arigatou gozaimasu. Choudai shimasu” or “Itadakimasu,” hold the teacup (14 with ) both hands and drink. Generally the visitor is the one who decides (15 when ) it is time to leave.